People who travel in the course of their work have more opportunities to play the lottery. In fact Arlen Brennaman of Syracuse won the richest instant ticket prize offered by the Hoosier Lottery while on business trip. 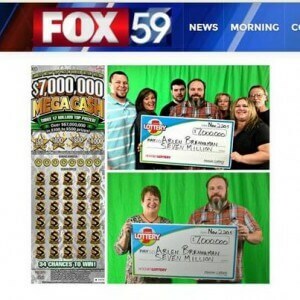 He had scratched the ticket while riding on his brother’s car and discovered he had won $7 million – the top prize offered by the $7 Million Mega Cash game. Now he is dreaming of using the money to get his family into business, so prosperity can be carried over the the succeeding generations.